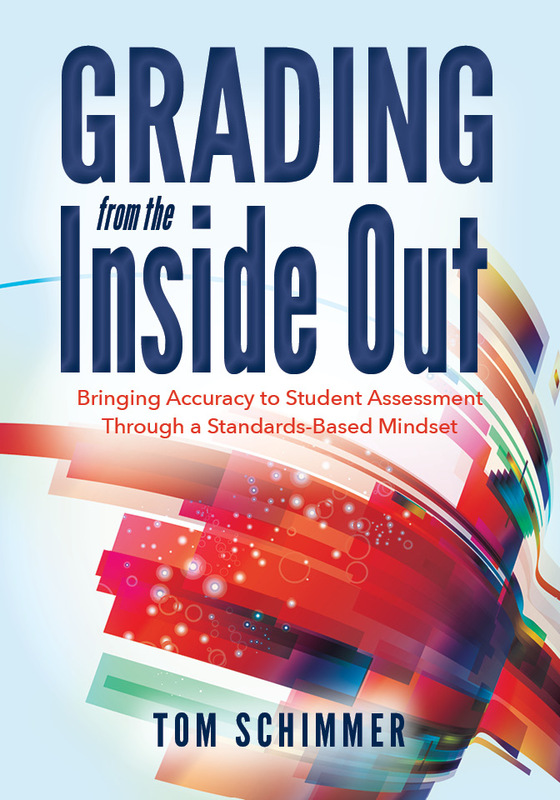 I’m very excited to announce that my new book, Grading from the Inside Out: Bringing Accuracy to Student Assessment through a Standards-Based Mindset (Solution Tree), has just been released! Long-term grading reform begins on the inside and works its way out; it begins with a complete rethink of the purpose of grades within the summative assessment paradigm. Developing a standards-based mindset allows teachers to begin reshaping the grading experience in their classrooms without the premature pressure of a new grading program, a new grading policy, or a new report card template. Once we shift how we think about grading we are poised to move toward more overt changes to the processes and practices of sound grading and reporting. For more information, please visit the Solution Tree website (here).